Continuing our series on drawing tools in Illustrator (previously we looked at the Illustrator Line tools), today we’re going to look at the Shape tools. Although the shape tools appear very basic, they can be used together to form more complex shapes. The tools allow you to quickly and easily draw rectangles, ellipses, polygons, stars and even a flare. 2. Click and drag the mouse on the artboard. 3.To draw a perfect square, hold down the Shift key. Press Option (Mac) or Alt (Windows) as you click and drag your mouse to define the rectangle using the click point as its center point. Press Shift + Option (Mac) or Shift + Alt (Windows) to draw a square with the initial point as the centre of the square. 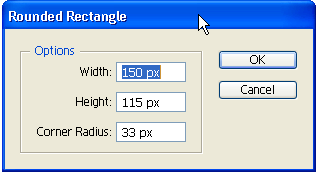 The alternative to drawing a freehand rectangle is to use the Rectangle tool dialog box. Select the Rectangle tool in the toolbox and then click once on the artboard. The dialog box will open. 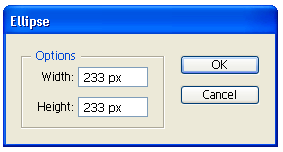 Enter a width and height in the dialog, and click OK to generate a precisely sized rectangle. 1. Select the Rounded Rectangle tool from the toolbox. 2. Click and drag out the rectangle to the size you want. You can change the angle, or how “roundy” the corners are, by hitting the Up or Down arrows while keeping the mouse button held down. 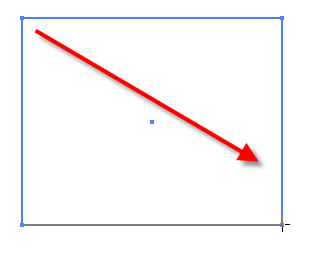 Hitting the Up arrow makes the corners more rounded, hitting the Down arrow makes the corners more square. You can also use the Rounded Rectangle dialog box to precisely set the size of the rectangle and the angle on the corners. To do this, select the Rounded Rectangle tool and click once on the artboard to bring up the dialog box. 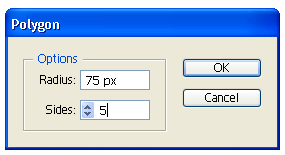 Clicking OK in the dialog generates a rectangle with the dimensions and radius you defined at the point on the artboard that you clicked with the Rounded Rectangle tool. Subsequent rounded rectangles will have the same setup until you redefine the radius in the Rounded Rectangle tool dialog. 1. Select the Ellipse tool from the toolbox (or hit L as a shortcut). 2. 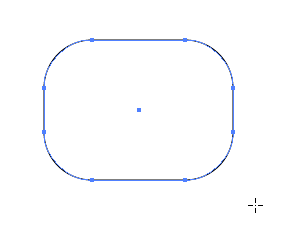 Click and drag diagonally until the ellipse is the size you want. 3. Hold down the Shift key to constrain the Ellipse to a perfect circle. 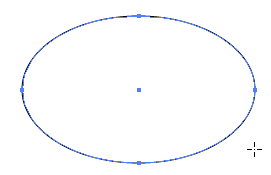 Hold down Option (Mac) or Alt (Windows) to draw the ellipse from the centre out. To precisely set up your ellipse, use the dialog box. 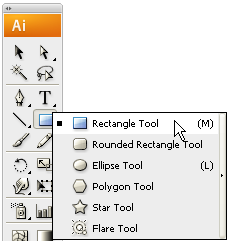 Select the Ellipse tool from the toolbox and click once on the artboard. The dialog box opens up. 1. Select the Polygon tool . 2. Drag until the polygon is the desired size. To rotate the polygon, just drag the pointer in an arc. Press the Up Arrow and Down Arrow keys to add and remove sides from the polygon. 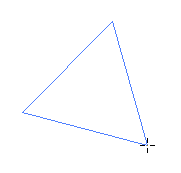 It might sound silly, but don’t forget that if you want a triangle, you’ll draw a polygon with three sides. (There’s no specific triangle tool). 3. Press the Shift key as you draw a polygon to fix the rotation angle so that the base is parallel with the edge of the artboard. You can’t rotate polygons as you draw if you use the Shift key. As with all the other tools, if you want to be very precise, use the polygon dialog box. 1. Select the Polygon tool from the toolbox. 2. Click once on the artboard where you want the center of the polygon to be. Specify a radius and number of sides for the polygon, and click OK.
You can control how many points and how pointy they are, even when you’re freehand drawing. 1. Select the Star tool from the toolbox. 2. Click and drag out until the star is the size you require. 3. Press the Up Arrow and Down Arrows on the keyboard to add and remove points from the star. 4. 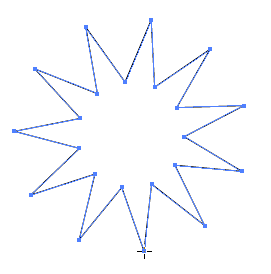 Hold down Cmd (Mac) or Ctrl (Windows) whilst dragging to increase the pointy-ness of the star. Alternatively, bring up the Star dialog box by clicking once on the artboard. You can adjust the ratio between Radius 1 and Radius 2, causing a change in how pointed the star is. You can create a sharply pointed star by defining a Radius 2 value that is much less than the value of Radius 1. So those are the practicalities of drawing shapes in a freehand method or by using the tool’s dialog box to take full control over how the shape will appear. As I said, they may not be overly exciting by themselves but they are vital building blogs for creating more complex shapes. We’ll look at some practical examples later in the week. Are you new to Illustrator? Have you been using these tools for drawing? What have you found to be your biggest stumbling block in Illustrator so far?